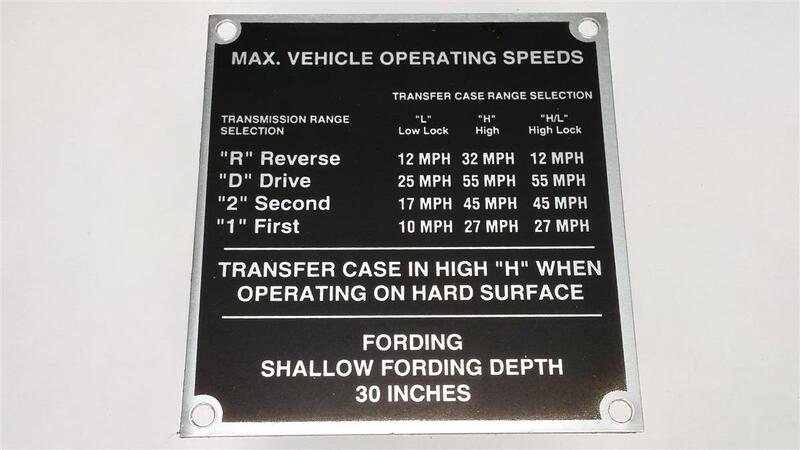 Maximum Vehicle Operating Speed Data Plate. Transfer Case Range Selection. Trasfer Case in High "H" when operating on hard surface.